In case you haven’t noticed yet, I’m starting to get a just bit obsessed with party plans. 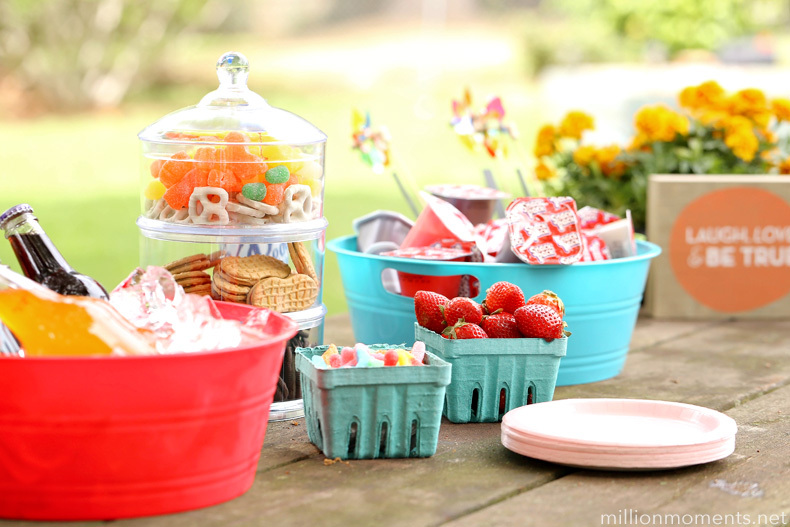 With my kids and parents all having birthdays over the next few months, I don’t think this trend will be stopping any time soon, so get ready to catch some fun ideas that go beyond tradition and really bring the creativity! 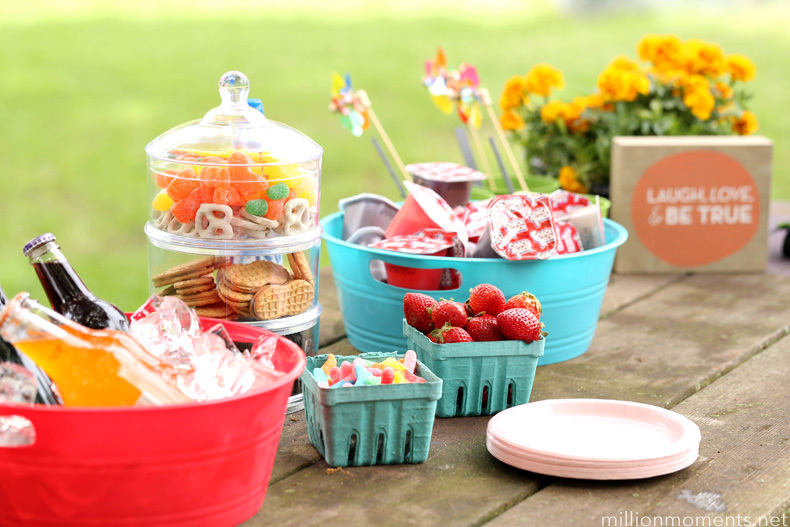 My mom’s birthday is next week, and since we will be out of town when the big day comes I decided to whip up a low key garden party over the weekend that was simple but with an emphasis on playfulness and fun! This party was one of my favorites to create so far, and I just love the “young at heart” feel it has! 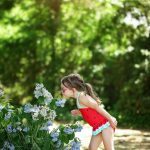 When I was originally thinking about what I was going to do, I knew I wanted it to have something to do with gardening. My mom adores gardening and spends most of her free time in her back yard landscaping, planting, decorating and really just being out there so I knew that she would love this! As far as refreshments and food go, I wanted to stay away from the standard cake/cupcakes that have become the expected norm and do something different. 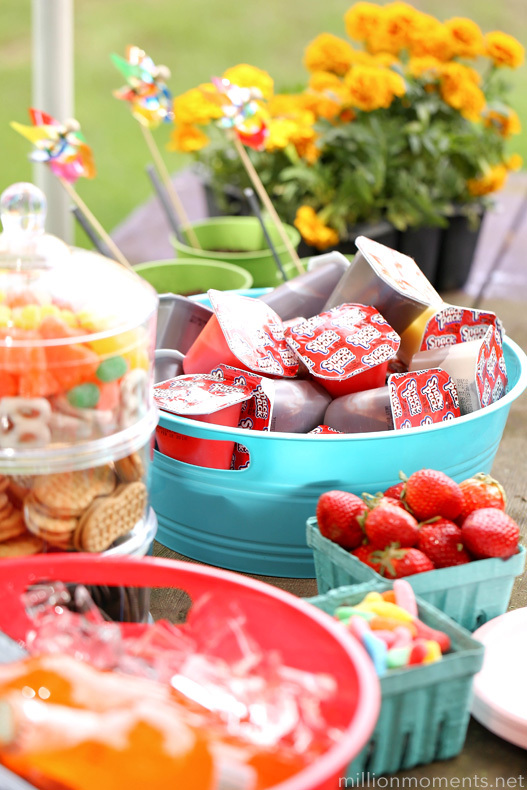 So, I picked up a bunch of Snack Pack pudding cups from Walmart and set them up in a big bucket along with mix-in options to create a fun toppings bar because I think they really fit with the plant/growing theme. 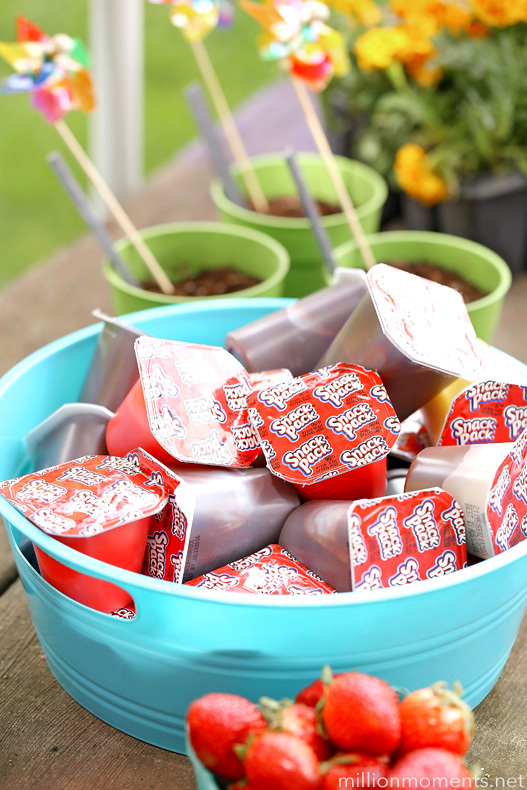 I think they are the perfect garden party treat and I love that each pudding cup has the same amount of calcium as an 8oz glass of milk! 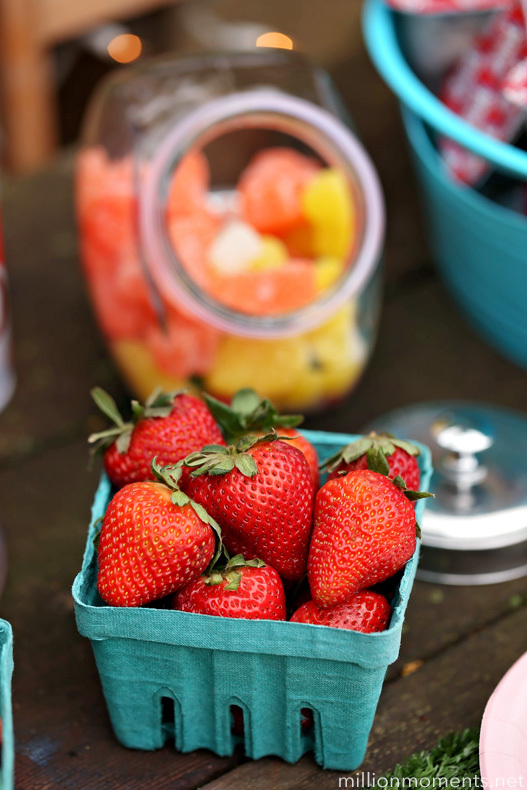 They don’t need to be refrigerated, and with easy open lids it cuts down on messes too! 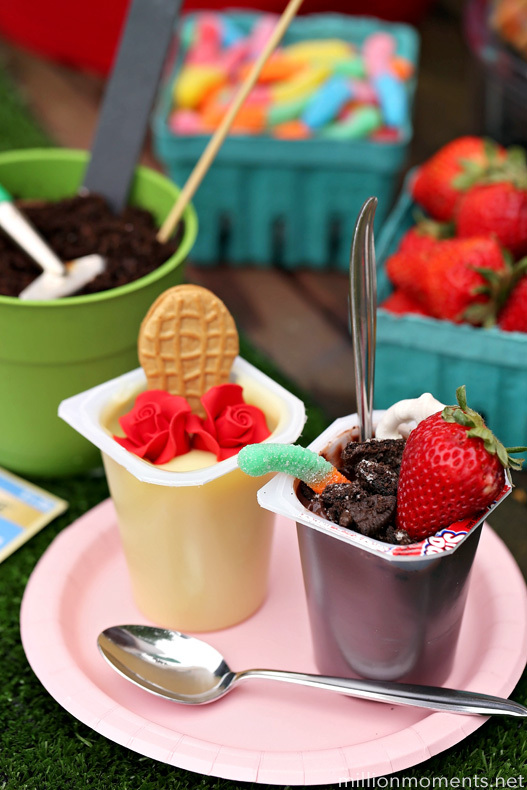 The chocolate cups are perfect as little “planters” along with crushed Oreos and gummy worms, and you can even mix it up more with fresh fruit like strawberries, blueberries, kiwi, raspberries, or whatever you want! 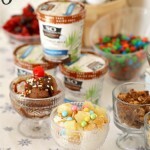 Other great toppings include Nutter Butters, pretzels, gum drops, candy flowers, sprinkles, Reddi Whip, peanut butter, and SO much more. And then of course I had to have some matching planter party favors because they were just too adorable together. 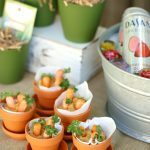 See the resemblance between the pudding cups and the planters? 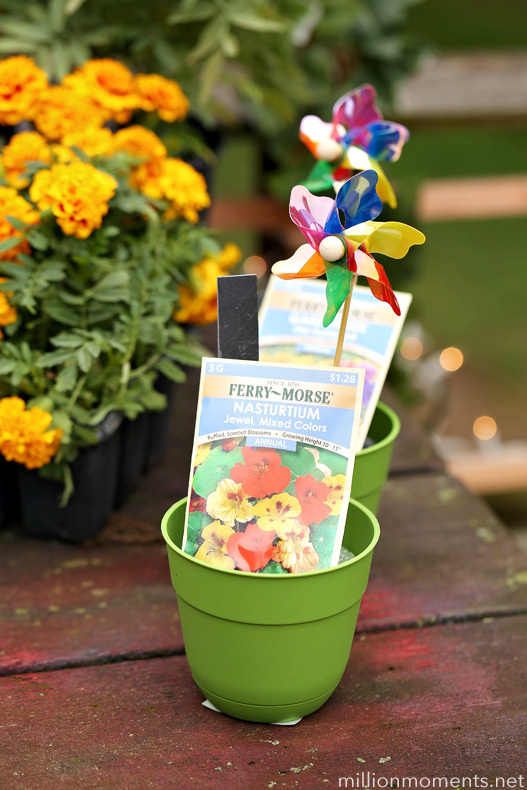 Each person gets a planter cup filled with dirt and a seed packet. 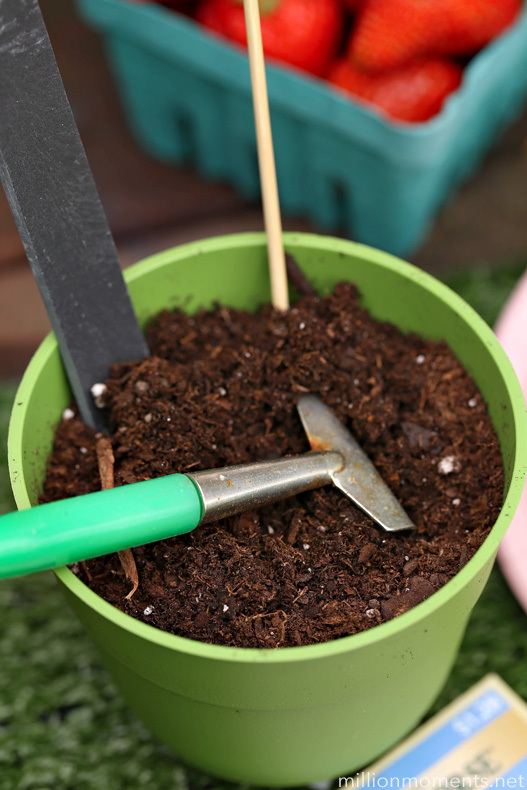 They can plant the seeds right there and then “top” their planter off with more dirt or either take it home as is. 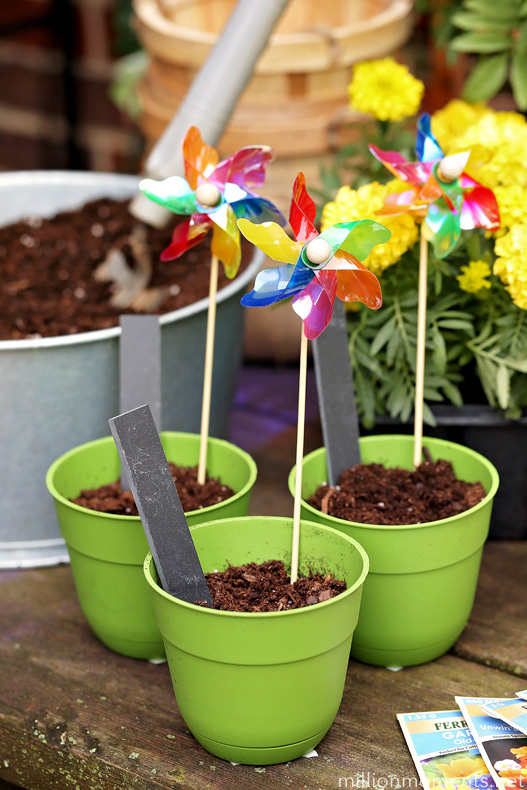 They also each have a slate stake to label their plants and a fun pinwheel, and seriously, I think these are by far my most clever party favors yet! So now that we have the food and favors out of the way, let’s talk aesthetics. I wanted it to be bright, colorful and Spring-like with a rustic and natural feel so of course I went with my favorite backdrop which was the back yard. I added some seedling flowers on the edges of the table, and filled in the center with my party supplies. 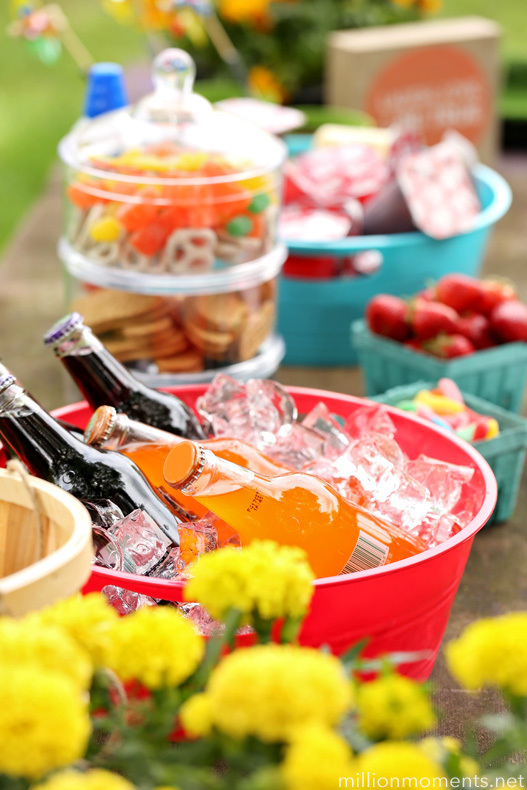 One of my favorite ways to dress up a party is with the drinks – I almost always opt for glass bottles and colorful liquids because it is a great way to give the party a pop of color! And of course you know how obsessed I am with strawberries, so they made an appearance as well. I also picked up a cute banner to pull the whole spread together. I think it did a great job of completing the look! 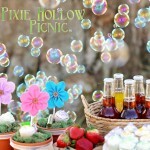 Overall this is a fabulous party that is great for warm afternoons and small gatherings. 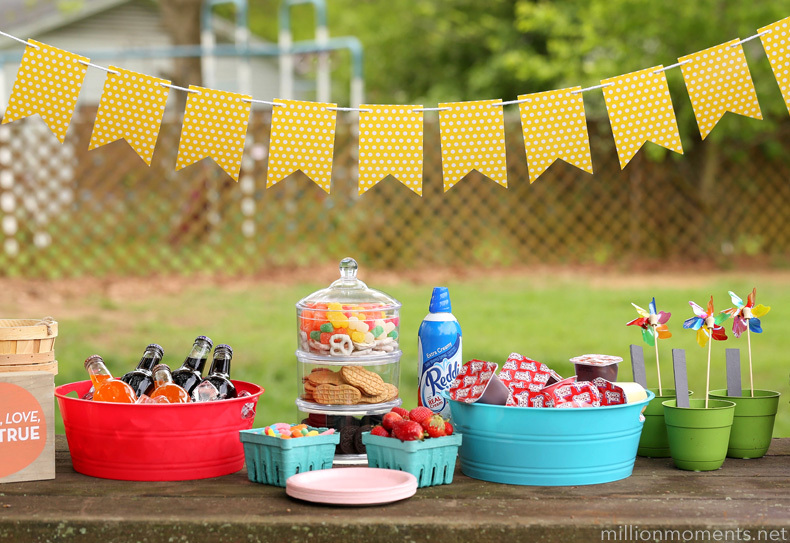 I can see this being perfect as a baby shower, birthday party, a wedding shower, or even a graduation gathering! 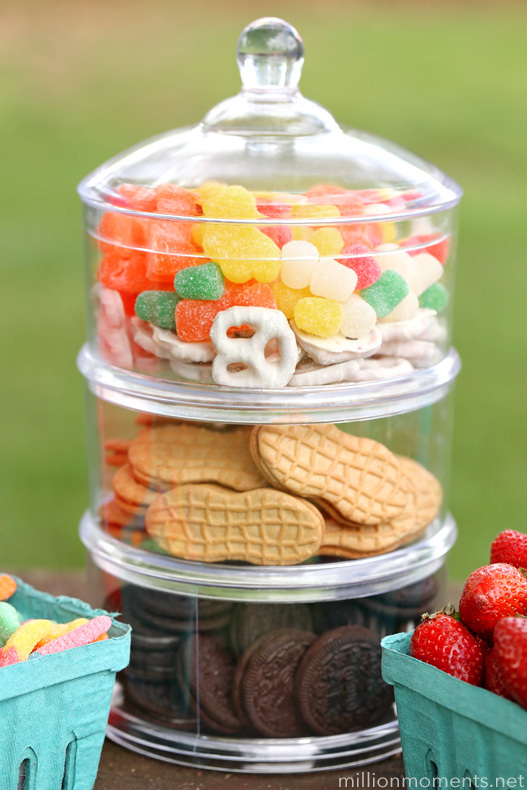 I hope you liked my party, and this is such an easy idea to personalize. You can switch up flavors, foods, colors, whatever you want. I’m so happy with my adorable pudding bar, and I think my mom was too! 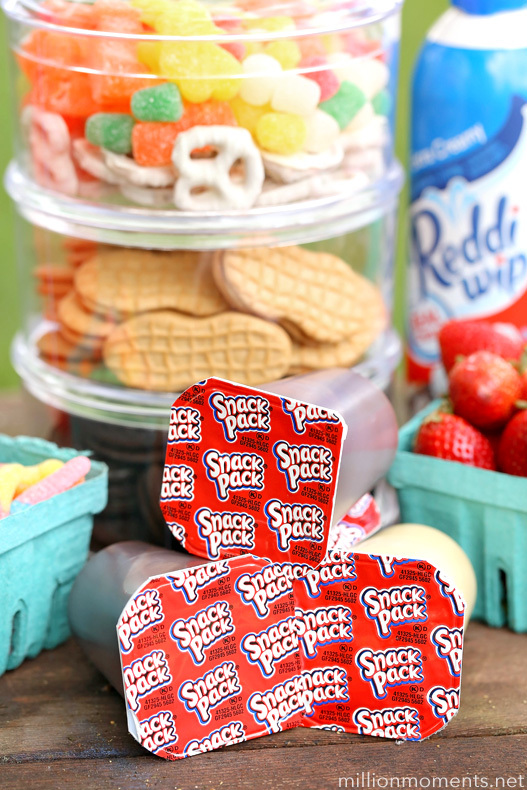 Want to find Snack Pack for yourself? 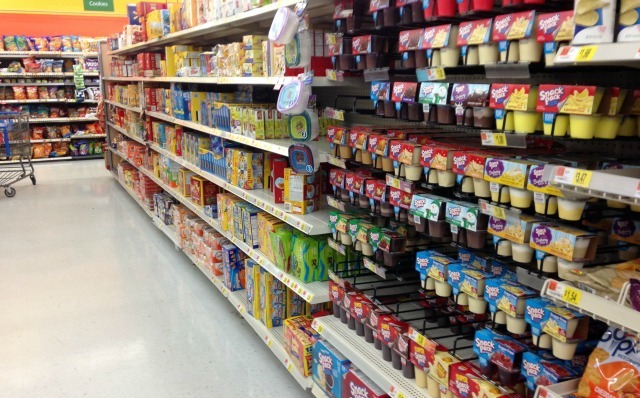 It’s at your local Walmart in tons of great varieties!